VanillaSoft, a leading sales engagement technology company, is pleased to report that it has been placed in the Innovator section of the Aragon Research Globe for Sales Engagement Platforms, 2019. The report evaluates 19 major providers in the sales engagement platforms market. VanillaSoft was positioned as an Innovator in part due to its “high volume outbound calling capabilities” and “email and text messaging,” among other strengths. VanillaSoft continues to lead the industry in the areas of speed-to-lead, persistency, and cadence automation. VanillaSoft, the industry’s most successful sales engagement platform, helps sales development teams engage over 15,000,000 contacts every month. Used standalone, or in combination with existing traditional CRM systems, VanillaSoft empowers sales reps to respond to new leads faster, interact with leads more consistently, across more channels, and generate more qualified sales opportunities. 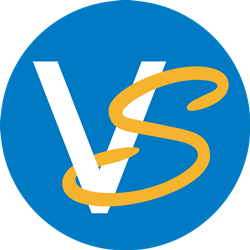 Globally, thousands of users employ VanillaSoft’s queue-based sales engine and intellective routing to implement sales cadence automation resulting in substantial gains in speed-to-lead, persistency, productivity, and revenue-per-rep. VanillaSoft is a privately held company headquartered in Plano, Texas, USA. To learn more, visit http://www.vanillasoft.com. 1 - Aragon Research. The Aragon Research Globe for Sales Engagement Platforms, 2019 by Jim Lundy, December 2018.